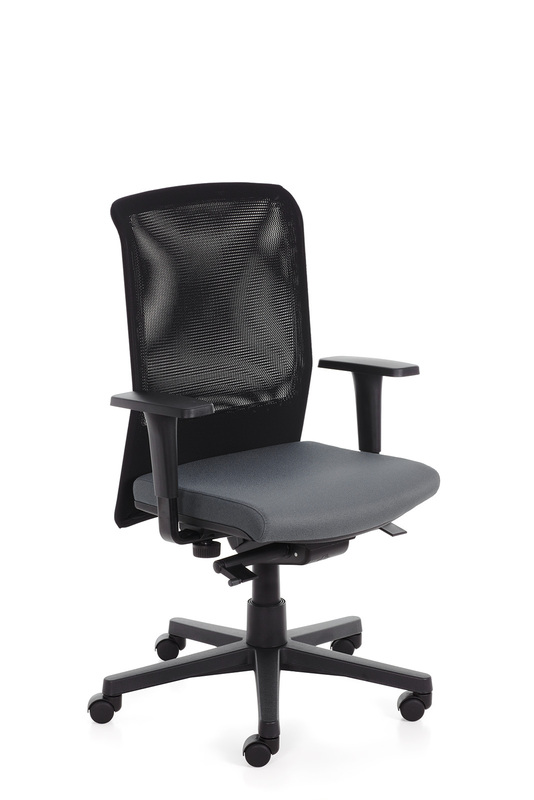 Managerial chair with double-layer mesh back Luxor Mesh ensures maximum comfort and excellent breathability. The backrest is height adjustable to improve the support provided to lumbar area. The chair has a synchronised mechanism for seat and back angle adjustment and incorporates a weight tension control. In addition, the adjustable armrests allow to adapt the configuration of the chair to the needs of each user. Available on request, the polished aluminium base and the seat slider.